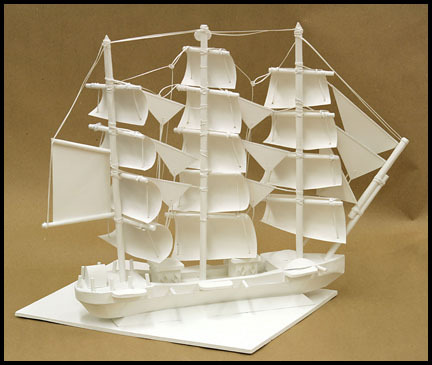 The only way to really get an idea of the beauty of 3D art is to see it. Below is a description of an art assignment given to my art class. I have also included several pictures that resulted from the art assignment. When you first look at it does it look like it is hard to create? If you follow the assignment you just might be surprised at what you can actually create. 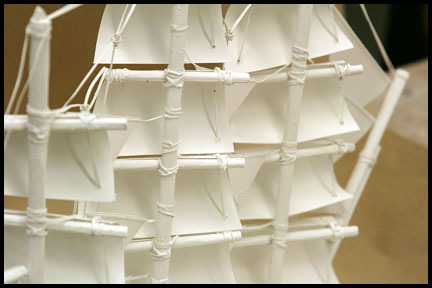 Objective: Create a 3D asymmetrical design. 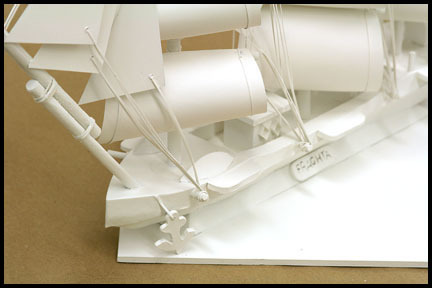 This 3D asymmetrical design assignment should be done using a layout that takes advantage of the sculptural forms your paper can make. Think about how your work will be viewed from different angles of light and the new forms the shadows create. Materials: Bristol board or plan paper and glue work mounted on 11″ x 14″ mat board or foam core finished and with flat white spray paint. This project should take no longer than 5 hours. Having parts that fail to correspond to one another in shape, size, or arrangement; lacking symmetry. 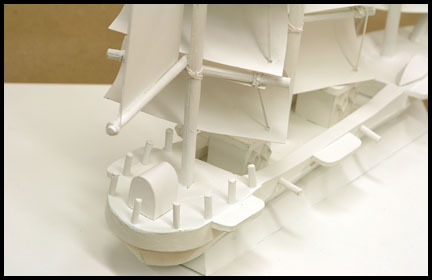 Maria Oses was able to build this ship with much patience, skill and creativity. 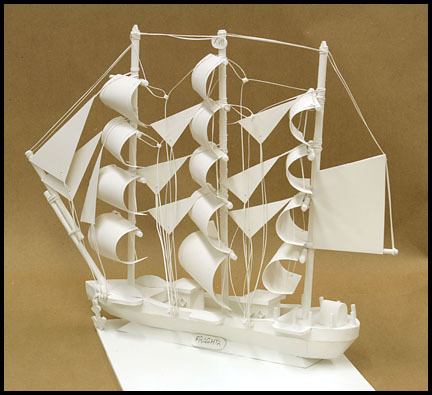 The ship is placed so that the form of the ship breaks the picture plane at the upper quadrant and on an angle to show the strength of a mighty ship. Maria became very in involved in process of her work and put in many hours, but that is what it takes to take your work to the next level.